Call it the best of both worlds: The latest lasik technology in laser eye surgical procedures perfectly balanced with genuine, personalized eye care for each and every patient. 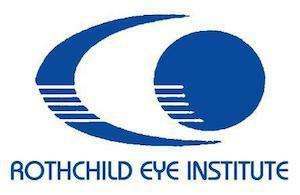 Rothchild Eye Institute has a state-of-the-art lasik center using the latest visx excimer laser for laser eye surgery. 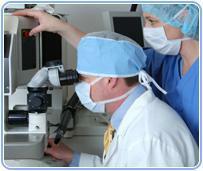 Dr. Rothchild is a pioneer inengineering lasik surgical instruments that are used by other lasik eye surgeons. As an authority on refractive and cataract surgery, Dr. Rothchild has published several articles on the changing technology of ophthalmology. Dr. Rothchild stays on the cutting edge of laser vision correction constantly adding new technology such as"The Wave Print System", The WavePrint map and the 3D Active Trak Eyetracker. Lasik eye surgery isn't just about technology; it's about people like you. At the Rothchild Eye Institute we strive to create a warm, congenial office environment so that you know you are amongst friends. Every member of our staff is selected not merely by professional knowledge, but by demonstrating genuine concern for the well being of each patient. We pride ourselves on our old-fashioned eye care.